Joe Borg is a chance to claim his second McKenna Memorial on Thursday night when Van Ann lines up in the $40,000 to-the-winner group 2 final. 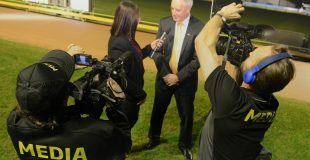 Van Ann was impressive in her heat when running down reigning Australian Cup champion Hecton Bale. “She’s done a tremendous job to make the final, it’s a great thrill,” said Borg. Although impressive in her heat, her lead up to it was an unconventional one. 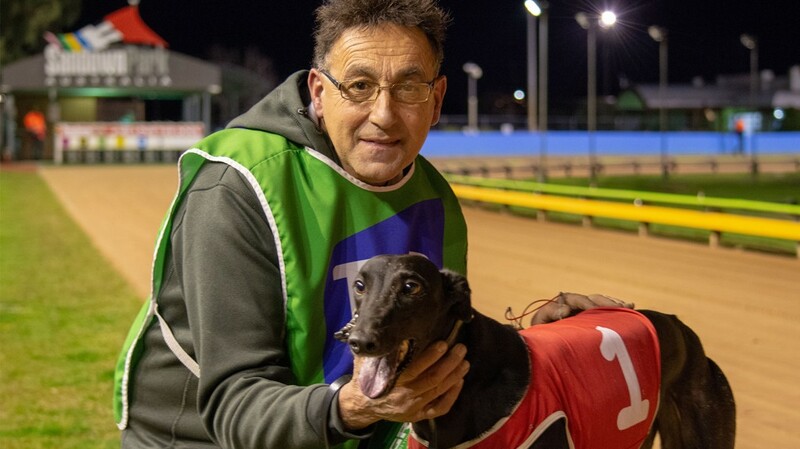 Borg is on the verge of taking a holiday and hoped to relocate his greyhounds to caretaker trainers while he is away. Van Ann was moved to the kennel of Borg’s good friend Glenn Dainton. She didn’t handle the move well, she was restless and lost weight, which had the team concerned. Borg was forced to bring her back home and attempt to calm her in the week leading up. “I didn’t have much time to settle her. She lost a good bit of weight, that was a major concern and getting the weight back on her was a challenge. “I want to go on holidays in the next month or so and I’m trying to place dogs elsewhere with other trainers. That was the idea behind it, but she’s just going to have to stay at home when I go away. Borg is no stranger to the McKenna Memorial, he won the event in 2013 with the versatile Proven Impala. She defeated Irma Bale in one of the most memorable races of recent years. Borg has doubts but is hopeful of taking the race out for the second time. Van Ann has the advantage of jumping from the coveted box 1, the same draw in which she won her heat from. “I’m really happy with the red. Though she’s gonna have to do everything right to make an impact on the race. If we could run a place, I’d be ecstatic. History is on the side of Van Ann. The McKenna has been ran eight times over 595m and female chasers have taken out six of them. Van Ann and Neo Cleo are they are the only girls in this year’s final. This is the 48th running of the McKenna Memorial. It was first run in 1971 making this one of our longest running features. It was run over the staying trip until 2010 and has been over 595m since. It’s named after the club’s first secretary, Jack McKenna.